Our lead setter is also the supervisor, who will be on site for any questions or concerns you may have. We make sure your job site is left in a tidy and orderly condition after we have gone. We carry a full line of workers’ compensation and general liability insurance for your protection. We also have a one-year warranty period on installation. Each proposal comes with a complete guide to company information, licensing information, proposal, tile maintenance and our warranty. 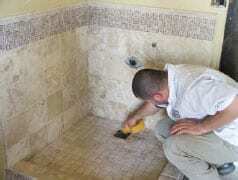 Visalia Ceramic Tile & Visalia Tile is fully insured and strictly follows the TCNA installation guidelines. 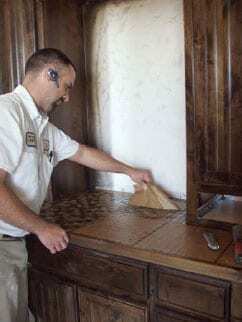 The installation support staff at Visalia Ceramic Tile make completing commercial or state projects not only beautiful, but easy. From bid questions, to job walks, we take pride in being in compliance and making our work worry free for our contractors. Clear paperwork, efficent processing, and unbeatable safety compliance has given (VCT) an excellent jobsite and office reputation. Visalia Ceramic Tile, Inc. & Visalia Tile, Inc. offer a satisfaction guarantee to all installations by our professional tile installers. We back this guarantee with our loyal warranty. Click here to email us with warranty questions and concerns.